GOT PAIN? GET ANSWERS NOW! Suffering from pain and/or not feeling like your old self? Quickly uncover the cause & find relief by answering a couple of questions. While pain can arise from various factors, Foothill Family Chiropractic, located in La Verne, CA can uncover the source of your pain and provide you with rapid relief. Aches, pains, discomforts are all attempts made by your body, telling you something is wrong and needs attention. Since causes and treatments differ based on various situations, we’d like to give you a more customized answer. All you need to do is submit the below form to our office letting us know what type of pain you are experiencing, where it’s located, and for how long, and we can quickly let you know what options are best suited for you. Turn your back to pain! From chiropractic care, cold laser therapy, and spinal decompression treatments, to sports chiropractics, massage, and nutritional services, Dr. Afshin Kaivan-Mehr with Foothill Family Chiropractic of La Verne, CA can eliminate your pains and help you reach your health and fitness goals. With customized treatment plans, Dr. Mehr can help you and your entire family live a happy, healthy, and active lifestyle! CareCredit can help you get the chiropractic care you need while making easy monthly payments. You can use CareCredit to cover high deductibles, co-pays, co-insurance, and to pay for treatments and procedures not covered by insurance at your Chiropractor. Delivering high-quality and complex nutrients for your whole food health advantage! Powerfully enhancing your health and vitality! 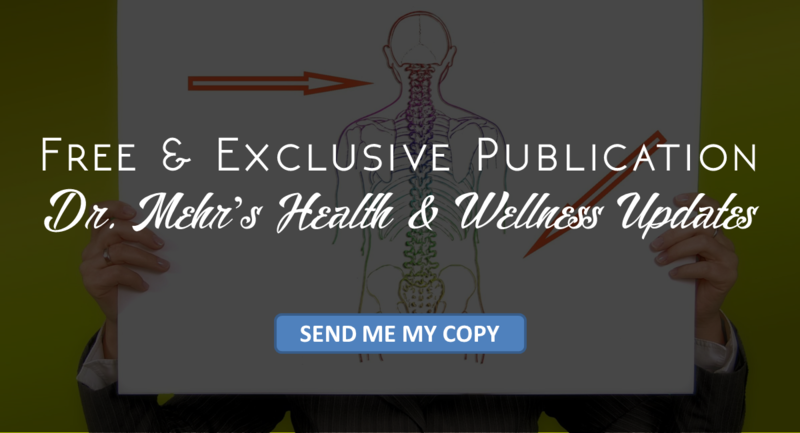 Did you receive your issue of Dr. Mehr's Health and Wellness updates? If not, enter your email above to uncover how to live a healthy and pain free life with Dr. Mehr's Health and Wellness Updates! Receive advice on how you too can turn your back to pain, achieve your weight loss goals, and improve your overall health and happiness. Additionally, get exclusive news on office contests, opportunities, and more. To sign-up simply enter your email above for this free publication.